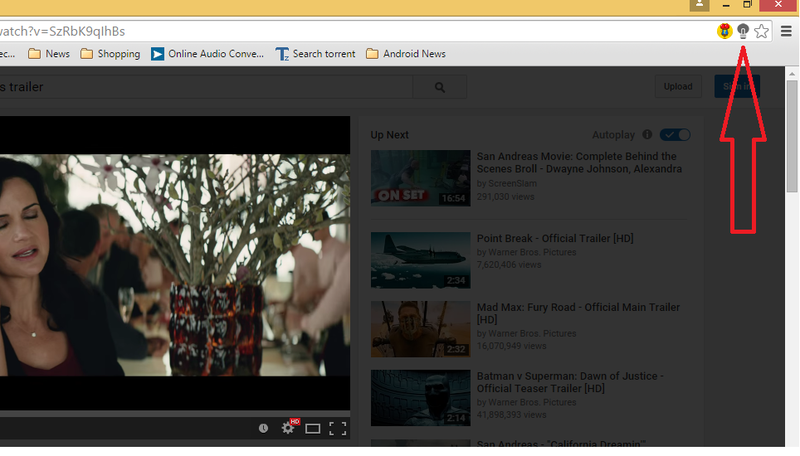 “Turn Off the Lights” is a chrome browser extension, its allows you to dim everything on the screen except Video and Flash, its give you a more pleasant viewing experience, like theater screen view. A lamp icon will appear in the browser's toolbar or in the address bar, just click the icon and it will make dim surrounding area of video, click again for normal screen. 2. 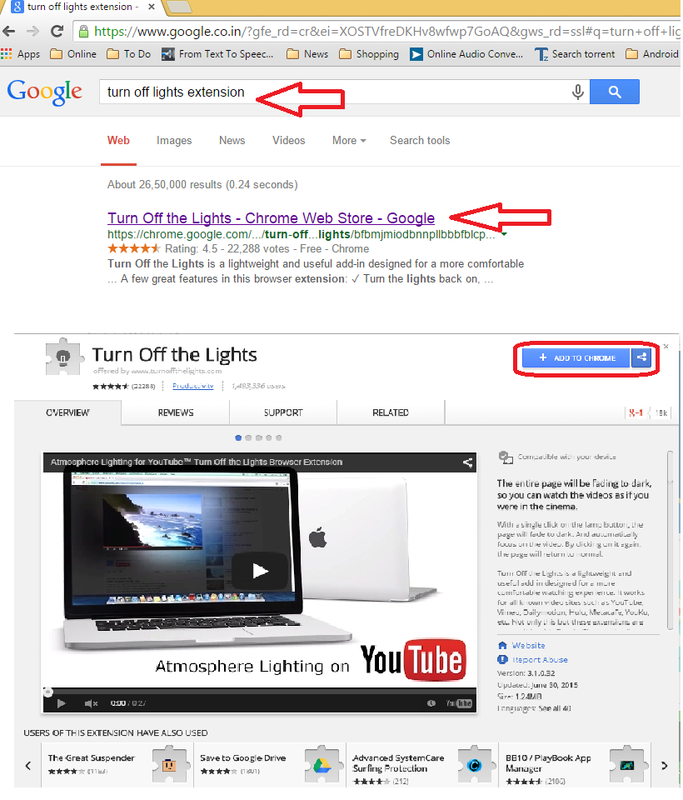 “Turn Off the Lights” extension will open click on “Add to Chrome” and click on “Add”. 3. Now close browser, go to your video or movies site play the video and click on “lamp icon” in address bar, it will dim everything on the screen except video, click again for normal mode.